This chapter explains Mobile Phone Display Problem and Solution – Mobile Phone Display not working and How to Display Fault in any Mobile Cell Phone. These problem and solution apply to all brands and make of mobile phones including Nokia, Samsung, iPhone, China Mobile Phones, Motorola, HTC, Sony, Blackberry, Alcatel, Apple, AudioVox, Benefone, Danger, FIC, Hagenuk, Palm, Kyocera, LG, Panasonic, Huawei, ZTE, Spice, Lava, Sony Ericsson, Micromax etc. What is Display in a Mobile Cell Phone? Display in a mobile cell phone is an electronic component or part that helps see all programs in a mobile phone. Display is available in different sizes. Display is controlled by the CPU. In some Mobile Phones there is an Interface IC called Display IC between Display and CPU. When the Mobile Phone is Switched ON, the Logo Appears and then the Display Disappears. Clean Display Tips and Display Connector. Resold or Change the Display IC. 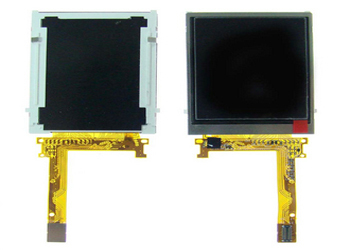 In some slider mobile phone sets, if there is Display problem then it is mainly because of faulty Display Track. Change the track to solve the problem. If the Display is upside down OR only half Display OR the Display is broken then change the Display. If there is white Display and the display is changed but the problem is not solved then RELOAD SOFTWARE. In some mobile phones like Nokia 6600, N72 etc, when the set is Switched ON, the Nokia Logo appears and then the Display disappears. This is problem of BOOT IC. Change the BOOT IC to solve the problem. I have moto x play. Purchased two years back. Phone’s display went blank but touch works fine. display is totally black. i dont know whether it is display(lcd) problem or backlight( battery or motherboard) problem? awaiting for your reply. thank you in advance. This is certainly Display Problem. ALL the LEDs cannot get faulty at once. Maybe some LED is faulty. Huawei Y520-U22 connecting and disconnecting constantly while connecting to the computer by USB cable and the mobile phone also vibrating constantly when it is on but no display. what is the problem ..
You need to change the display. Hi sir, micromax Bhart 2, mobile working pure, but screen alway blank, how to solve? Actually i have display problem in my mobile..is it safe to give my mobile to service center..? authorized service center will do data theft? You can RESET the Phone and then hand over to the Service Technician. i connected my moto x play for charging at night when i woke up at morning, the display was all blank. when i switched off and turned back again, the whole screen got divided in two parts Motorola logo appears both in upper nd lower half plus as boot up progresses the boot up screen shows images with slow fps(in both half) like missing some images in between, at password screen the top half screen is blank and whole display is contricted in lower half, touch is working fine, like where it should normally work even in the blank part. ..
plz help me sir i dont know what the probem is..?? Display gone and needs to be replaced. Looks like serious issue. Please consult your local technician as he/she can disassemble and check. sir mera mobile ka display tut gaya so mene display change karwan ke liye dia hai leken prbm yai ki mere sare person info usmai hai so kya dispaly change hoga tab mere securites bhi unlock hojai gi…?? No. Securities will be safe until you disclose your key. Clean the board with IPA and see if the Display connector is lose. sir, i m using moto e2 second generation phone. it was working well. suddenly, display went blank but touch works fine. display is totally black. i dont know whether it is display(lcd) problem or backlight( battery or motherboard) problem? i m ready to replace the display. but i m afraid even after replacing the display, what if it is still blank due to some than problem rather than display itself, like battery or motherboard. kindly evaluate and say whether i can order a new display for my phone or not. thank you in advance. awaiting for your reply. Reset the phone and update the software version. So it is not a board issue?? I have done a factory reset it worked perfectly for 2 days and again the problem was back?? Reload the software and the problem will be gone. This looks like a display problem. See if the display is connected properly or not. Otherwise it needs to be replaced. How do you know that the display is not working. Sir my phone is fell in water then I put it 3 hours in rice then use 7/8 hours without any problem but next day when I wake display colors are faded …..Please tell me the problem. The phone has to be disassembled and them all moisture must be removed and again assembled back. I bought some mobile phone lcd displays and i need to know whether those displays working or not… is there any way to check? There is no automatic way to check. Yes, there are big machines in factories to check it. You have to manually check them one by one. Sir my smartphone fall in water for few second and I switch off it immediately but it vibrating for 2 minute, after that I put my phone in sunlight for 4-5 hours. Now it is taking call and vibrating during calling but screen is black. What is the problem. How much is the cost of service. The Board need to be checked Properly. Most probable there is problem with the Display. Get it checked at Authorized Service Center and change the display. Most probable the display is gone and needs to be replaced. Sir actually my phone starts recognising unnecessary touch wen exposed to light and wen brightness is increased…Things happen itself….How to overcome dis….I’m using Moto g4 plus…. You can’t do anything. It looks like internal problem. My Nokia C1-01 slipped out of my pocket and its screen is all white. Do I need to get the display changed or IC issues or any other. My htc desire 828’s screen’s display is half black and half good working.As i use it for 5-10 minutes it starts to work properly but when screen locked n opened again again same problem.please help.. There is problem with the Display. It has to be replaced. Maybe the Display Connector has become Loose. It just need to be tightened in the PCB by opening the Phone. Download the PDF from my Site. My mobile fallen into water and my mobile display brightness is too low now kindly provide the solution as earliest as possible. Disassemble the Display and clean with alcohol and allow to dry and then assemble back. Why White thin horizontal lines appearing upon 320*240 Qvga display? How to resolve this issue? Disassemble the set and clean the display and display connector and assemble back. This should solve the problem. I have a HTC516 dual SIM. After charging the phone I saw it working properly. Then I tried to restart the mobile. Then onward the display is not working. It is ringing call is coming. I can receive the call also. Disassemble the phone and clean the display connector and the connector point with IPA. Assemble back and check if it is working or not. If not, then the display is gone. It need to be replaced. Hello,my moto e screen is half visible while half screen has black and red stries over it.what can i do to it. is there any solution or i have to take it to authourised service center? hello..i have an old sony k530i which has been broken for a long time,.my phone problem is,went i ON the power,it just show white display only at my phone until its off by it self,also its keep vibrate when i press the ON button..do you think its a software problem?? ?please help me show how to repair it.. There is both hardware and software problems with the phone. Take it to authorized Sony service center. The Battery Might be Loose. Try to fix it properly with the help of Folded Paper. Display is not appearing in my mobile Nokia Lumia 610. When I was dialling a number, screen blinked and fluctuated and disappeared and now there is no display at all. The PCB needs to be checked. Either the Display IC or the Display itself is damaged. My nokia 200 fell down and swicthed off, I on it but it only display white screen without keypad light… Please what can I do. Seems like some soldering is broken. The PCB need repairing. Please take the phone to authorized service center. mobile display lights shivering all the time, what can i do? Disassemble the phone and clean the PCB and Solder all the LED Lights. How can i disassemble a phone with in-built battery? It’s been a week my phone fell in water and display is blurred. suddenly there is a sparking sound in my phone,remove the battery and sim card. After that I inserted sim and battery and ON the mobile, the SAMSUNG logo appears and then SWITCH OFF. Automatic ON and OFF repeats. please tell me about the problem and can i repair this phone? Replace the battery and check. If the mobile phone gets ON then change the battery. Otherwise, there is problem in the power section of the mobile phone. Take it to Samsung Service Center. Better to take the mobile phone to authorised Samsung service center.